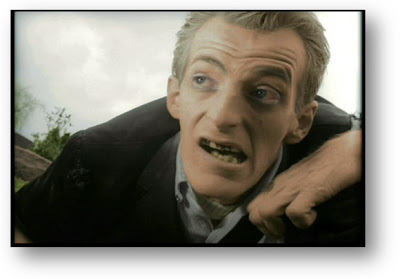 MarketSaw - 3D Movies, Gaming and Technology: Exclusive: "Night Of The Living Dead" Coming Soon In 3D! Exclusive: "Night Of The Living Dead" Coming Soon In 3D! Jim here. 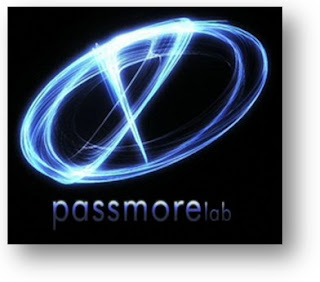 Just had a great conversation with Greg Passmore of Passmore Lab in San Diego (2D to 3D conversion experts) and was I ever excited to hear about their latest project: Breathing 3D life into the 2D colorized version of George Romero's classic, NIGHT OF THE LIVING DEAD! MarketSaw: Hi Greg - wow! NIGHT OF THE LIVING DEAD is one of my all time favorites! How did you come to the decision to convert NOLD to 3D? GP: I really love the film Jim. When I started talking about it around the office, much to my surprise, I found lots of other people here who also love the film. It just seemed like a natural. Legend has, by far, the best copy and colorization of the film. I pestered Legend for months to get them to agree to let us do it. MarketSaw: What sort of distribution have you come up with for the movie? GP: Originally it was slated for VOD and 3D DVD. We have found some strong interest in European distribution and maybe even limited theatrical in the US. Ultimately however, the film is destined primarily for home entertainment. MarketSaw: What challenges are you facing in the conversion? GP: The film was not exactly shot in 70mm film, so the challenges of 3D conversion bring with it the challenges of restoration and bump up. However, I want to preserve some of the raw, grainy look. That's it. The actual conversion is not an issue. Invite over your buddies, make some popcorn and enjoy it on your big 3D TV. 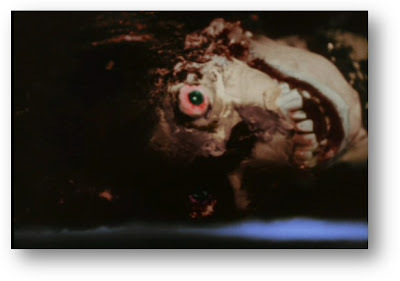 MarketSaw: What part of the movie do you think holds the most promise for a "wow - in your face" 3D zombie effect? GP: Ha ha. 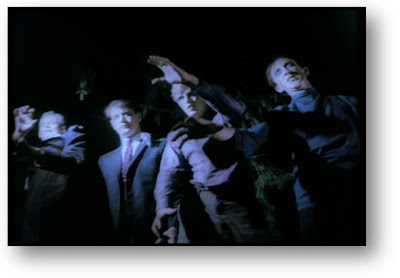 Zombie hordes and the cemetery scenes. I'm not to big on the gross stuff, but I'm sure some of that will give younger viewers a thrill. MarketSaw: You also created the software for the conversion of NOTLD to color back in the day - any special software you create for this effort? GP: Yeah. We have been working with Legend for about 10 years. Barry, Legend's resident genius, had some complex ideas for efficient colorization. Our lab wrote all the colorization software for them and one of the many, many films they colorized was NOLD. We started out as a software house and still have a team of big gun software developers on staff. That helps us do these kind of odd applications which require proprietary and highly specific software. GP: It is starting to feel real. For several years, I felt like 3D might be an insane thing to do. It is still the dumbest or smartest business thing anyone could do. Time will tell. However, I am feeling better about the direction of the industry. We have two groups involved in 3D; a live shoot team in San Diego and our conversion team spread over three countries. The live 3D shoot team was originally formed to create reference footage for testing the quality of the 3D conversions. It has since expanded to be more than that, but ultimately we are still a lab. As such, we have installed state of the art 3D microscopy gear (4k, uncompressed), autostereoscopic displays, a huge theater, built a custom 3D Red rig, developed and use underwater 3D rigs, and have installed lots and lots of computing power - all for testing and development of tools and techniques for 3D production. We are finicky about using the scientific method for metrics and validation. We don't want rigs you bump into alignment with an elbow or finger wiggle into place. We want precision instrumentation that is repeatable. For example, our 3D microscope rig has precision bearings, computer control and a 1 micron accuracy. We want to free the artists from the current home brew camera rigs, so they can focus on their art, not the clumsy gear made of bolts and screws from the local machine shop that typically makes replacement mirrors for obsolete cars. We want biotech quality, not automobile shop quality. MarketSaw: I am impressed with your Lab expansions! Must be like a wonderland in there for 3D fanatics! Which leads me to my next question: Tim Burton is shooting ALICE IN WONDERLAND in 2D and then converting to 3D. James Cameron has attacked that approach - what do you think of that debate? GP: Shooting 3D is great when you want reality. I don't want to just see realistic films. Conversion allows you to control 3D showing something other than reality; your dreams, your nightmares. I want to see things that do not exist in the real world. Color cameras shoot the sky as blue... I might not want the sky to be blue. For storytelling, conversion is more flexible. MarketSaw: That is a very interesting point that I had not yet heard. I can see the logic behind that. Any other upcoming projects you can tell us about? GP: We are converting the beloved Spike and Mike Animation Festival. There is a lot of crazy stuff there and we love converting cell animation to 3D. We are also converting a lot of stuff for the studios that they force me not to discuss. In live action, we are shooting a 3D film on the worlds most incredible caves. Totally, absolutely crazy caves. The world's deepest pits, biggest ice caves, underwater rivers, skeletons, paintings, sacrificial pits, and cave spiders, scorpions and bats galore. Fun project, but physically challenging. We are destroying a lot of gear for that film,. We have converted some crazy footage for Ripley's Believe it or Not. One piece has this guy who can pop his eyes out of his head - something in 3D I promise you will never forget. MarketSaw: There are many die hard NOTLD fans out there who criticized the colorization of the movie - do you think the same will happen with 2D->3D? GP: Maybe. However, I think it adds a lot of value and most importantly, it is FUN. This film is not Casablanca. The best way to avoid criticism is to do nothing. Not an option with my personality. MarketSaw: Will the conversion be 100% faithful, or will you be adding or enhancing anything? GP: 100% faithful to the film, but we have cut a new trailer that is more contemporary. MarketSaw: Can't wait to see that trailer! Any other black and white classics you are thinking of converting? Personally, I would love to see more black and white converted to 3D - I think it works VERY well. GP: We have a list of a couple dozen B&W films in our queue. Some of them are obvious, like famous concerts, but we are also doing some not so obvious educational pieces to help engage students in important historical events. We are also converting some more recent art B&W films. These include live action, cell animation, even pencil drawings. The pencil drawing animations are really cool. MarketSaw: How long does it take you to complete any given conversion project Greg? GP: All the usual disclaimers about difficult content and difficult customers, but about 6-8 weeks for a feature.